Honeywell company, City Technology will be exhibiting at Sensor + Test 2015 on 19th - 21st May in Nurnberg, Germany, and presenting a speaker session on new technologies driving the next generation of intelligent and connectable gas sensors. The keynote presentation delivered by Dr. Stefan Degen, City Technology's Research and Development Manager - will take place on 20th May from 12:00pm - 12:30pm in Hall 12. It will draw on 25 years of Sensoric specialist gas sensing in Bonn, Germany, and discuss pioneering innovations in development. Sensor + Test brings together over 500 manufacturers and suppliers of sensing, measuring and testing solutions. The three day event at the Nurnberg Exhibition Centre also includes a programme of conferences on a range of key technology topics. 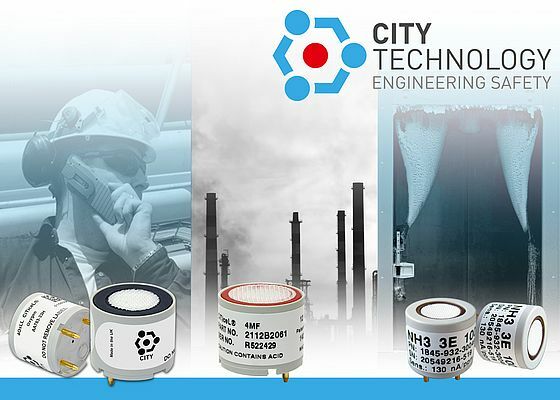 City Technology will be part of a wider Honeywell stand (12-607) showcasing its leading-edge gas sensing range with a key focus on specialist Sensoric gas sensors and the new long life oxygen (4OxLL and 5OxLL) and emissions sensors, which are experiencing a high level of take-up in the market. The Sensoric range provides the most comprehensive specialist sensing portfolio in the market with over 20 toxic and exotic gas sensors, including ammonia, hydrides, fluorine and ozone. These sensors use highly specialised technologies to solve difficult operational challenges. John Warburton, Strategic Marketing Manager for City Technology comments: "Sensor + Test provides a great opportunity for visitors to learn more about advanced gas sensing solutions and specialist technologies, which can fulfil very specific needs. A key highlight will be some of the latest innovations in the Sensoric range as these sensors have been manufactured for 25 years in Germany. "Dr. Degen's session will highlight future trends, the latest sensing technologies in development and how tomorrow's gas sensors will evolve to be smaller, more intelligent, connectable and wearable through greater PPE integration and the application of new advanced technologies. It will also demonstrate how end users will be able to leverage greater value, ease of use and enhanced safety from these developments in the future."